Last week the Riviera Maya Film Festival returned for its fifth annual showing in Playa del Carmen. One of the area’s most anticipated yearly events, RMFF brings the people of the Riviera Maya the best in independent cinema, at absolutely no cost to the public. 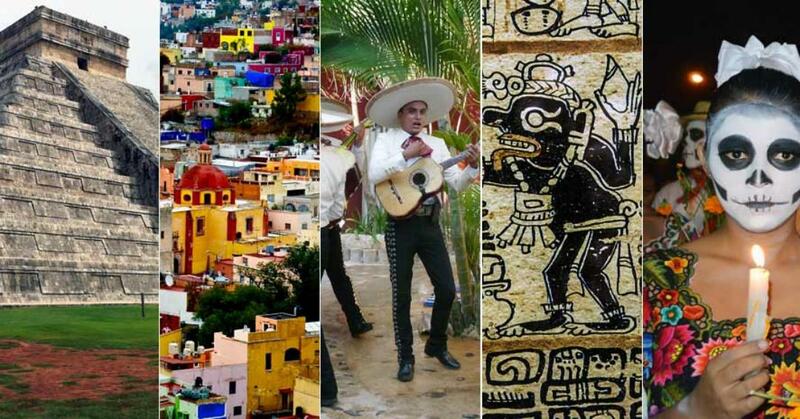 As if the Riviera Maya didn’t offer enough with its beautiful weather, ocean views and warm people, you can now add world class cultural events to the area’s list of attractions. Along with the Jazz Festival in November, the electronic music festival in January, the RMFF is yet one more activity bringing art and diversity to the Playa del Carmen public. 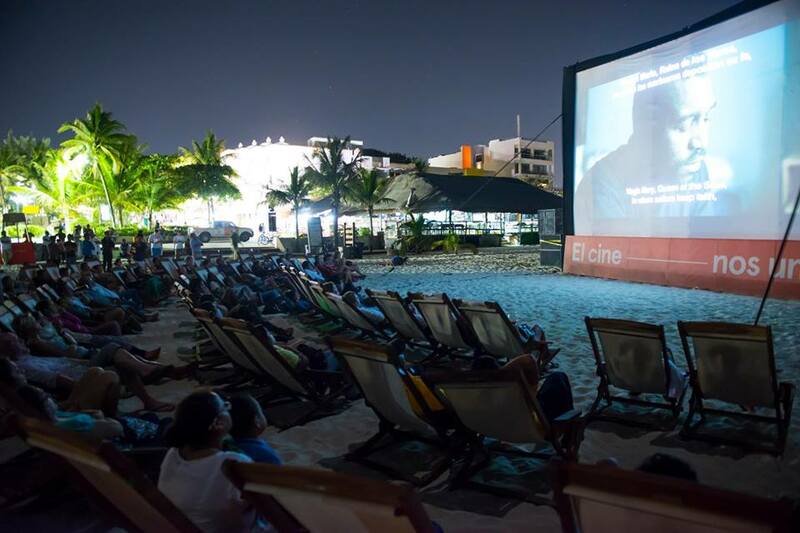 Imagine spending your summer nights viewing the latest international films, out in the open air with your toes buried deep in the Playa del Carmen sand. With a history of 980 showings to 81,000 spectators, this year the RMFF delivers 59 more films, 43 national premieres and one world premiere, promising something of interest for nearly everyone to enjoy. Some of the films are just works in progress, others are national premieres on the cusp of international acclaim. This year the festival worked with the Goethe Institute which sponsored the showings of 2 German films: 24 Weeks and Who is Oda Jaune? The RMFF also treated viewers with a screening of the latest Pedro Almodovar film, Julietta. The festival closed with Don Cheadle’s new movie Miles Ahead in which he both acted and directed. The movie chronicles the turbulent life of the groundbreaking musician, Miles Davis. Both Miles Davis’ son and nephew planned to attend the screening. But the RMFF doesn’t forget to include films made in its own country. Along with international films, included on the roster are 13 films made in Mexico. 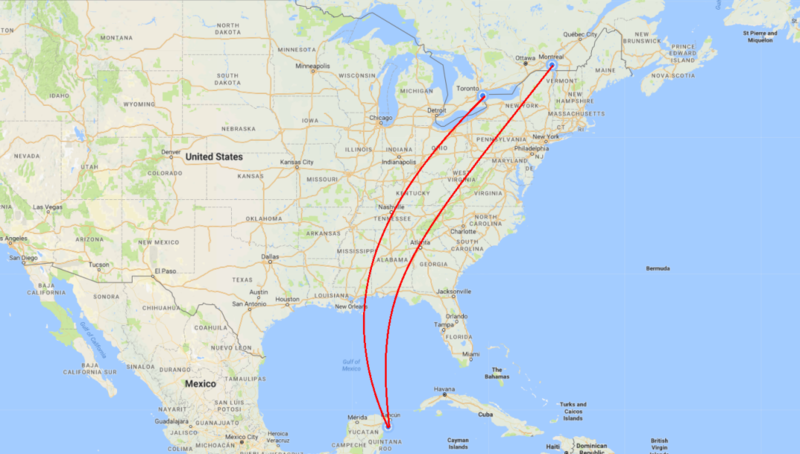 While the RMFF ran from June 24-30 in Playa del Carmen, it moved onto Isla Mujeres, Tulum, and Puerto Morelos as of July 2. So if you’re in town, be sure to check out what this premiere cultural event has to offer. Turtles have been swimming in the oceans of the world since dinosaur times. Only during nesting season do they come on shore, and then just for a few hours in the middle of the night. The Yucatan Peninsula beaches along the Caribbean coast (known as the Mayan Riviera) are historic nesting sites for sea turtles. (From Punta Venado to the Sian ka’an Biosphere). 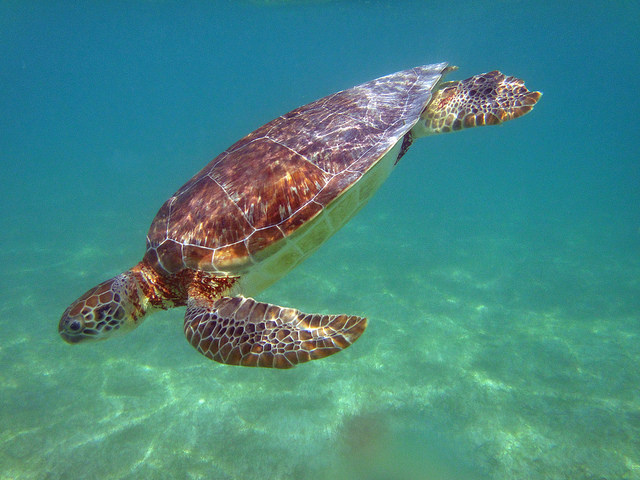 Akumal in particular, which means “place of the turtles” in Mayan language, is a privileged spot. That’s why Akumal is also a great place to go diving with turtles. The nesting season for sea turtles in Mexico is May to October. One of the amazing things about sea turtles is that when they are ready to mate and lay eggs, they return to the beach where they were hatched. Apparently sea turtles can recognize their natal beach by its smell. Mating is done in the ocean. Only the females come on shore. When a female turtle is ready to lay eggs, she swims to shore, sniffs the sand, and, if it smells right, pulls herself up the beach with her large front flippers. Once above the tide line, she uses her front flippers to dig a shallow pit for her body. Then, using her back feet, she digs a hole about 18 inches deep. Then, lowering her tail, she begins to drop her leathery, ping pong sized eggs. A female turtle may nest several times a season, laying about 100 eggs. About two months after eggs are laid, the baby turtles, which are the size of a silver dollar, hatch and scramble to the sea.